Yes, it's snuck up on us again, but this Friday night is going to be our monthly virtual get together and I'll be missing! But that's not going to stop it going ahead....I'll be stitching just a little bit earlier in the day and a little bit more on Saturday! That's the great thing about our virtual get togethers, isn't it? It's always Friday night SOMEWHERE in the world! And yes, there will be a prize, but I just haven't picked it yet! That's often the fun of it though. Friday night get togethers with the girls and a surprise gift thrown in for one lucky, and equally surprised crafter ... always nice! It's always lovely to hear what you are up to.... gives me so much inspiration..... can you hear the ticking in my brain? And don't forget to invite everyone along....crafty business is so much fun with others. ich weiß noch gar nicht was ich nähen werde. Ich habe immer genug Ideen und entscheide mich dann spontan. I'm hoping to work on the snowflake for my Not So Last Minute Christmas Quilt Along and the tea kettle for the Snapshots QAL. All ready to go and looking forward to blog hopping to see what everyone else is working on. I will be working on the quilt Elephants on Parade for my grandson who is due the end of April! Better get moving!!! I will be working on finishing a quilt of Love and SAL Natures Journey, I hope. Hopefully I will get some handquilting done, looking forward to friday night. Looking forward to Friday night. I have not decided what to do, but I think it´ll be som stitchery for my Winterwonderland-Quilt and knitting . Ich freue mich auf Freitagnacht und überlege noch was ich denn nähen werde. Looking forward to joining you all - still have to decide what I'll be working on. I'm hoping I won't be too tired to participate tomorrow night. Not sure what I'll be doing yet but plan to enjoy it. I just signed up. Love this idea. where can I grab the FNSI logo to post on my blog? Ich werde das erste Mal dabei sein. Mal mschauen, was ich mache! Vielleicht Handsticheln???? Oder doch an die NähMa? 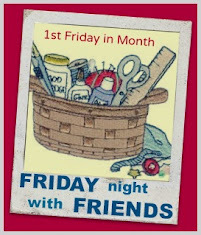 look forward to sew along with you and all participants at friday night. I am planning on working on more hexies Wendy, but also need to get more binding sewn on a quilt....both pleasurable! I think I will quilt my quilt for the Nadelwelt in May. So I can't show you the front but a little bit of the back. I've started quilting a string quilt ... and am approaching that point where I feel a bit obsessive about finishing it, so that's what I'll be working on tonight. I'm working on a Christmas project so that I can check another project off my 2015 Finish Along Q1 goals. I'm in! Tonight I'll be making placemats for an Artisan Fair which is coming up in a month! Oh Wendy I would love to join in again .....to stitch with all you lovely people again around the world is simply marvellous. Hi Wendy, a late sign up (must have had a seniors moment as I could have sworn I had done so already). I worked on two new stitching projects. Thanks for hosting.